Nothing beats talking to an expert, so if you'd like a copy of the plan or have a question about building a home, even if you're right a the start of your journey, just leave us a note in the Comments section below and we'll come right back to you. 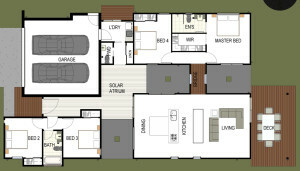 At Finlay Homes we understand the importance of every detail in the creation of your Australian dream. That's why we have created the Finlay Homes Gold Standard. Every Finlay Home that you see advertised within a new development will be complete in terms of the inclusions required by that development's covenant. We do this to ensure that you can relax and enjoy the process of building your dream home, with no surprises, no hidden extras. Just the most exciting experience of seeing your house finished and ready for you to move in and start living the life that you always wanted. 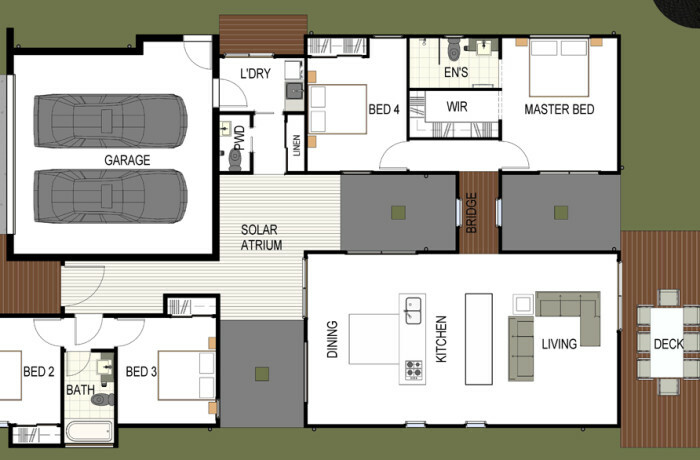 Finlay Homes is an advocate of sustainable building in North Queensland. To that end we have created and built Innovation House, North Queensland's first 10 Star rated display home for sustainability. However our enthusiasm for sustainability doesn't simply stop at a Star Rating, nor is it only concerned with all things "Green". The product choices and construction methods used at Innovation House transpose across every Finlay Homes plan making our homes more affordable to run and enjoyable to live in.